Nice large limestone tiles that are distressed giving an antique aged appearance. This grey limestone flooring can be used in traditional settings but has a colouring that makes a great backdrop to contemporary design themes. Being a dense low porosity stone this material is suitable for both domestic and commercial situations. 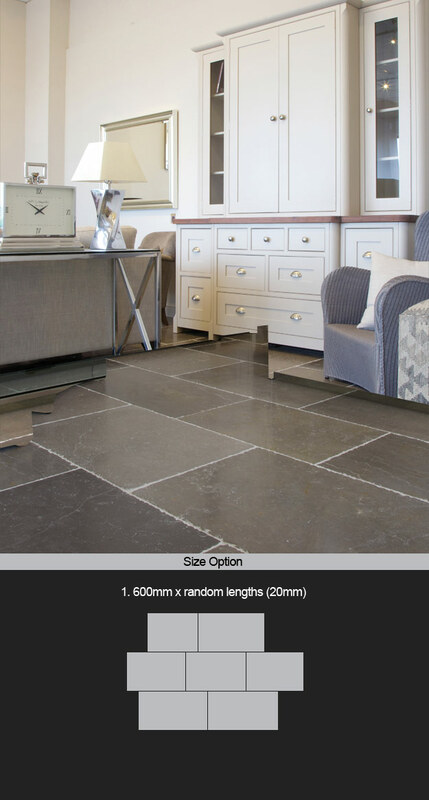 * Authentic Antiqued stone flooring. * Distressed with softened edges. * Large random flooring format. * Domestic or commercial situations.